Discover how providers and healthcare organizations have navigated the complexities of forming clinically integrated networks to achieve success in the new value-based healthcare economy. And how the clinical integration accreditation process builds a framework for success. Interviews with St. Vincent’s Health Partners, Phoenix Children’s Care Network, Seattle Children’s Care Network, Monument Health, and Advanced Health Select, reveal how these organizations tackled the challenges, decreased costs, and improved care coordination and patient access. 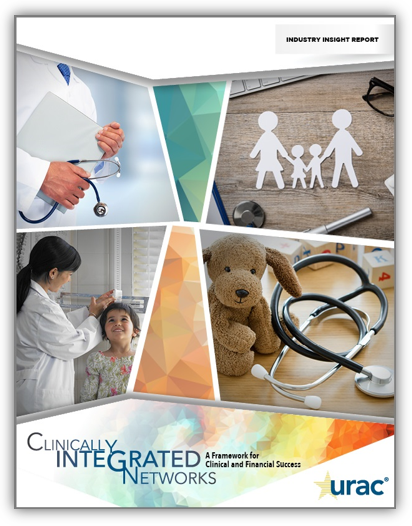 Learn more about URAC Clinical Integration Accreditation at urac.org/ClinicalIntegration. Call us at 202-326-3943, or email businessdevelopment@urac.org.